National holiday at Beauvechain. 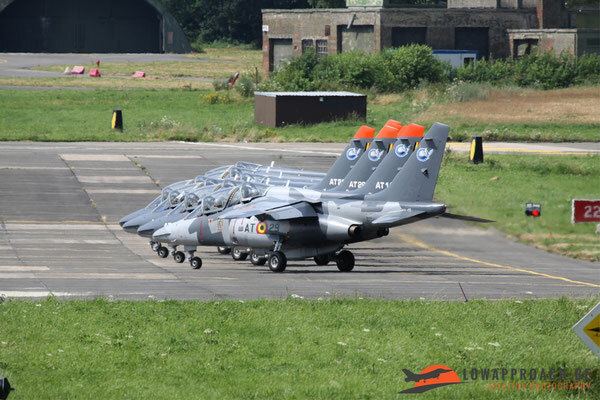 21th July 2016. 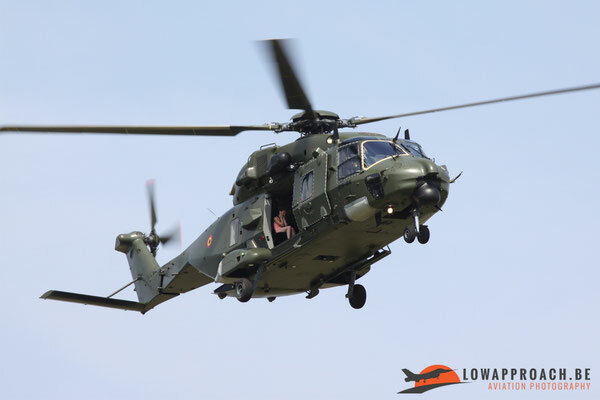 For the annual military parade above the ‘Paleizenplein’ in Brussels, Beauvechain AFB was this year again the main supplier of aircraft. 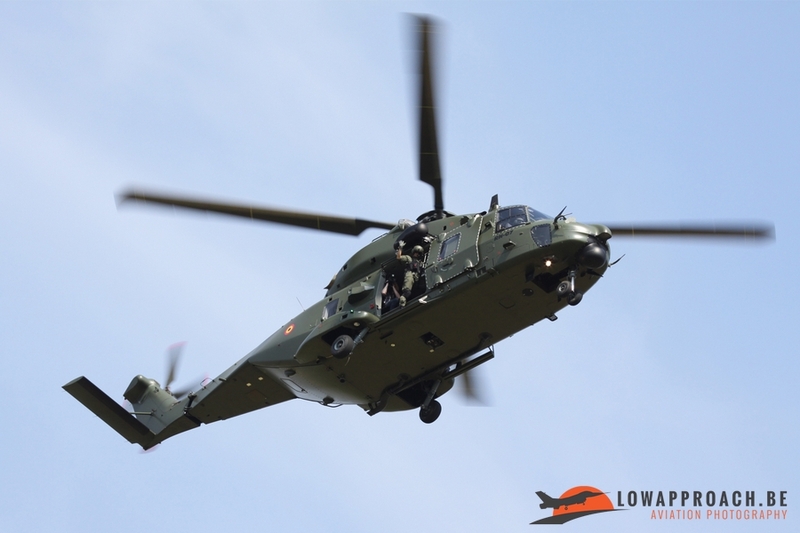 Watched from outside the base by more than a hundred of people from the surroundings of the airbase seven helicopters (four A109BA and three NH-90MTH), eight Marchettis and seven Alpha Jets equipped with smokepods underneath the fuselage for the Belgian colors black, yellow and red departed around 15.40hrs from Beauvechain for a flight above Belgium to be over the target in Brussels at 16.20hrs. 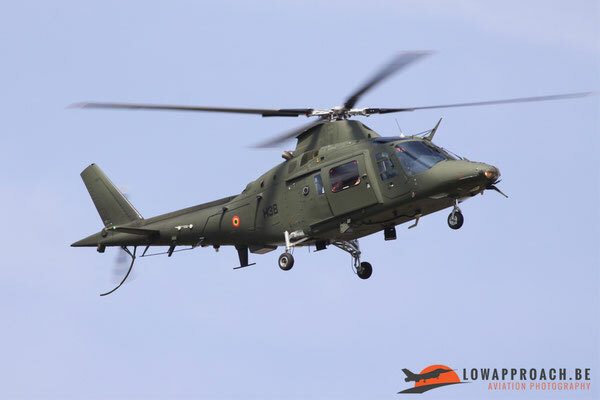 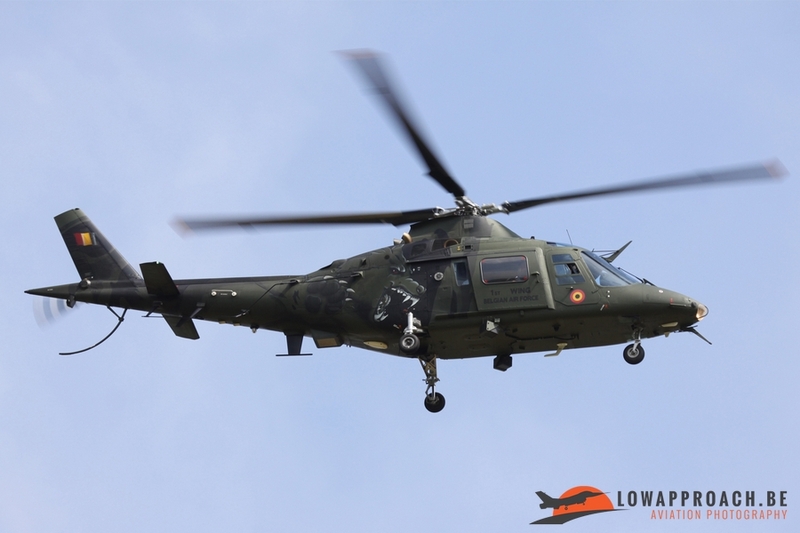 These numbers also include the spare aircrafts and helicopters who would break of the formation a few minutes before the formation reached the Belgian capital. 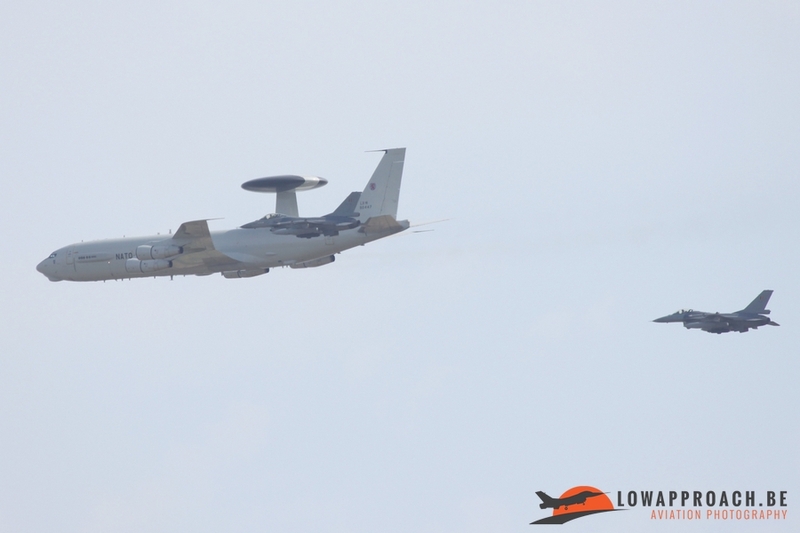 Before the landing of all those aircraft and helicopters at Beauvechain, twelve F-16’s from the 10th Wing of Kleine-Brogel and the 2nd Wing of Florennes crossed the axis of runway 22-04 destination their respective homebases, closely followed by a formation flight of a E-3A AWACS from the NAEWF component based at Geilenkirchen escorted by two QRA (Quick Reaction Alert) F-16’s from Florennes. 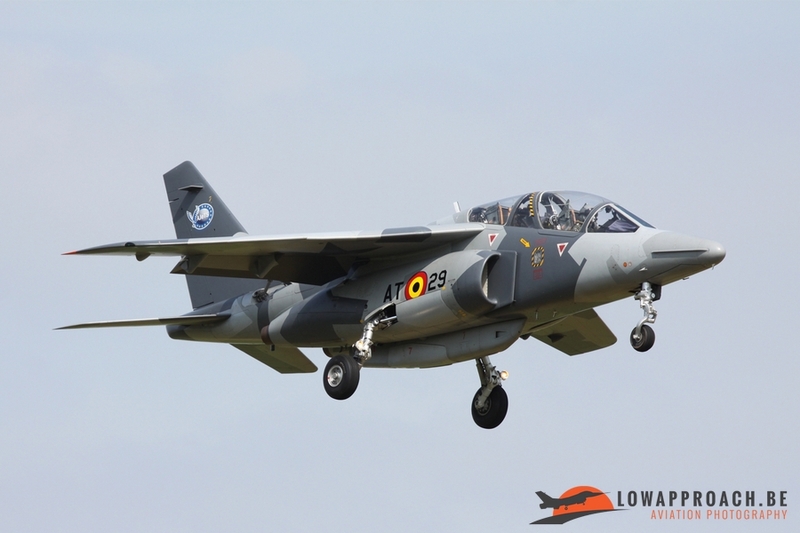 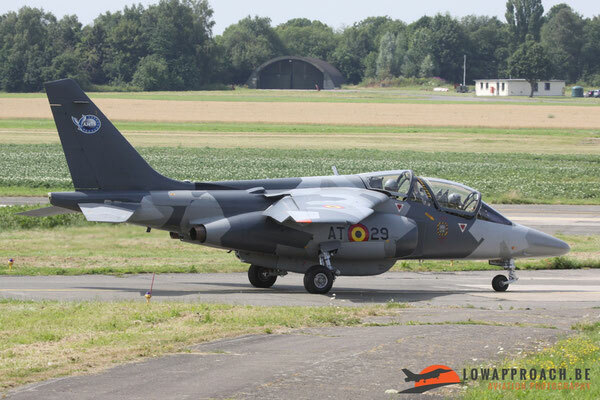 With the arrival of 7 Belgian Alpha Jets the noise increased considerably at runway 22. 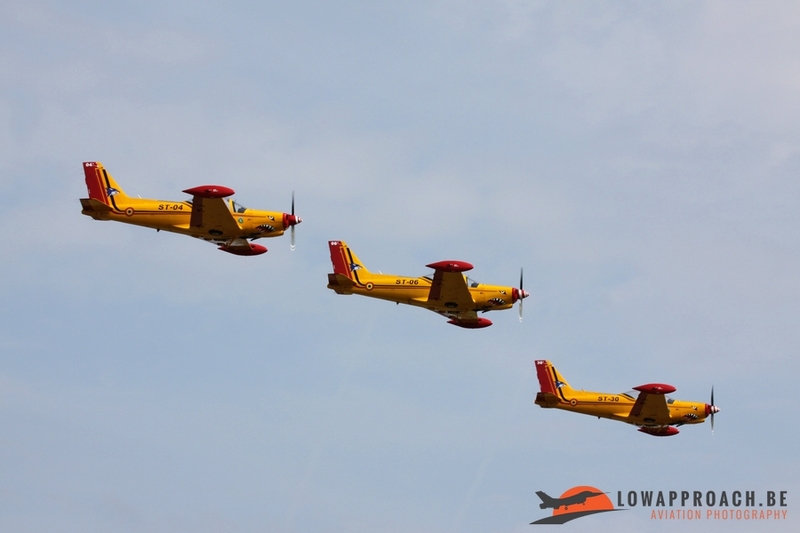 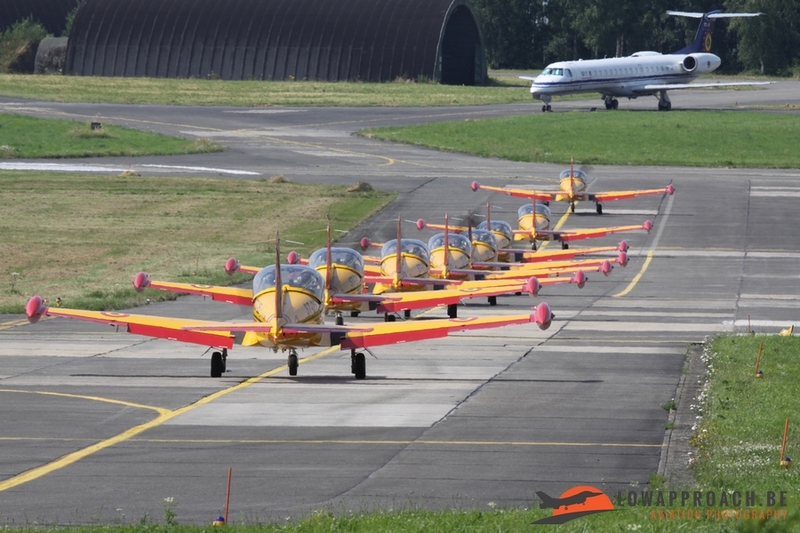 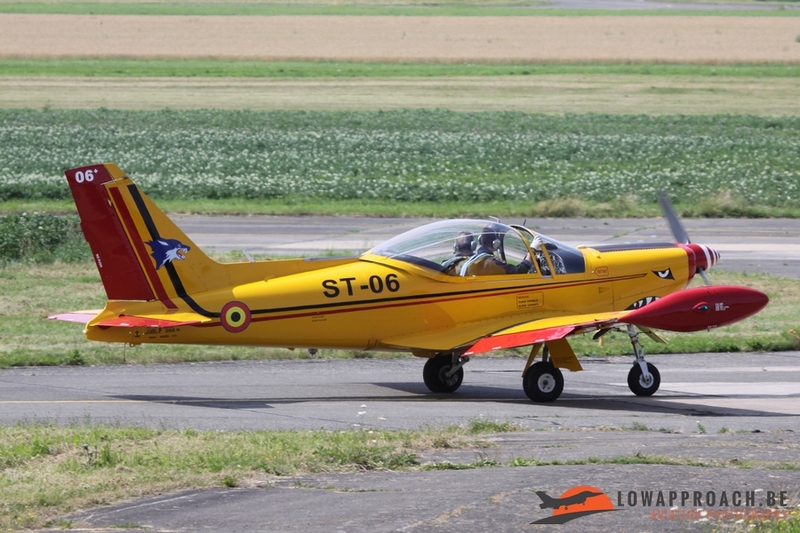 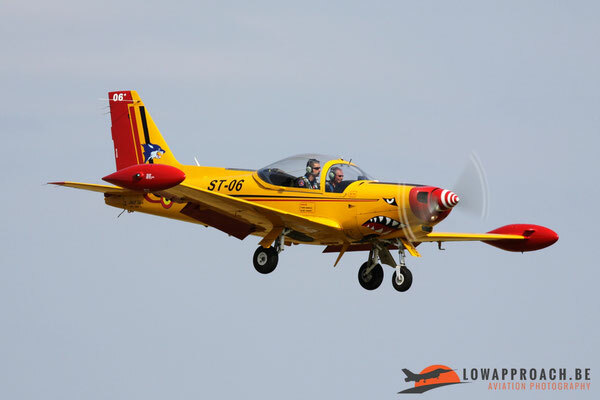 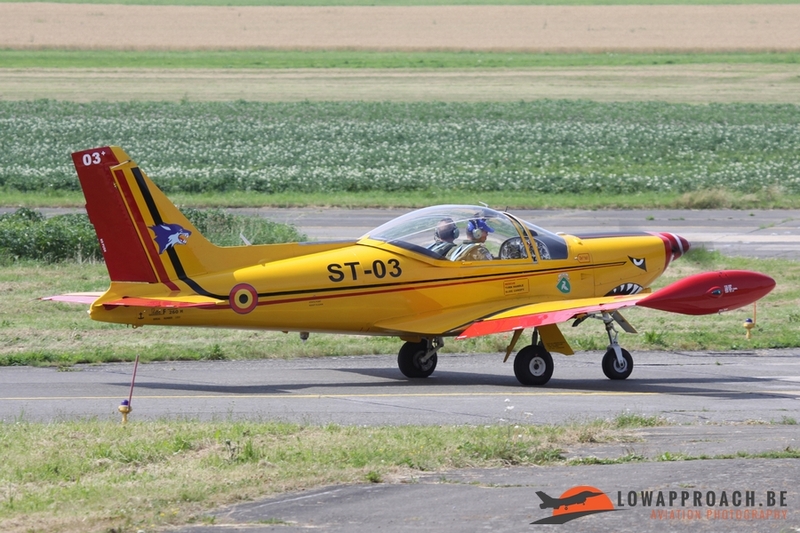 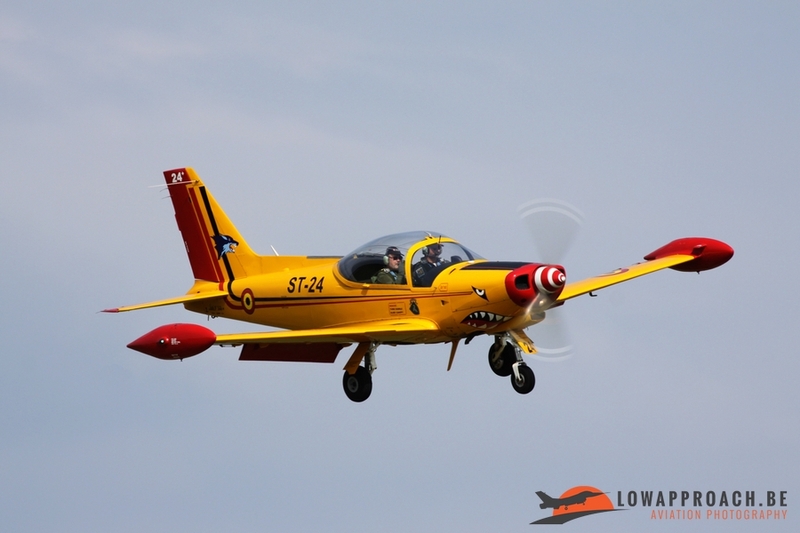 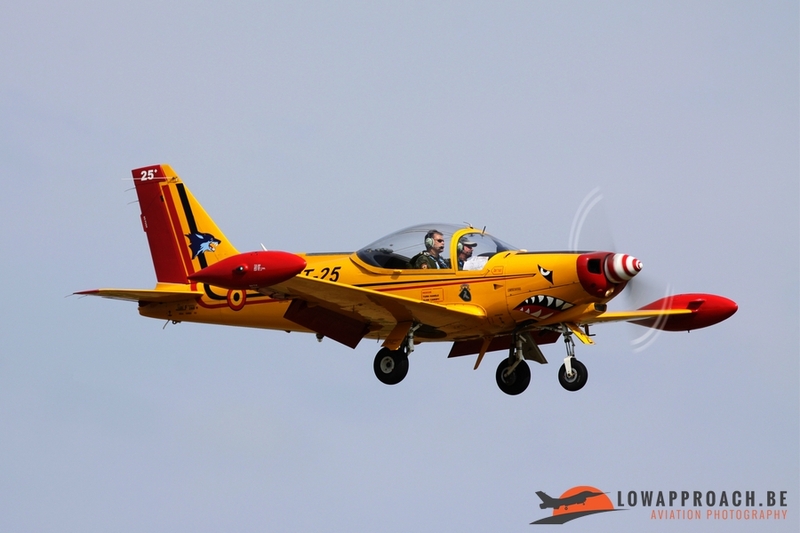 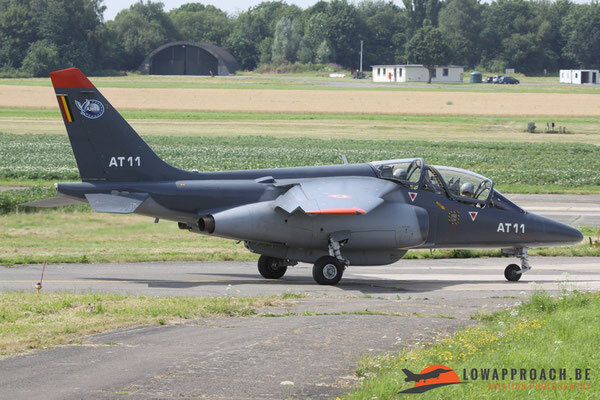 It is nowadays rare to see as many Alpha Jets in the Belgian skies since they have left Beauvechain in 2004 for Base Aérienne 120 at Cazaux to be part of the French-Belgian Advanced Jet Training School. 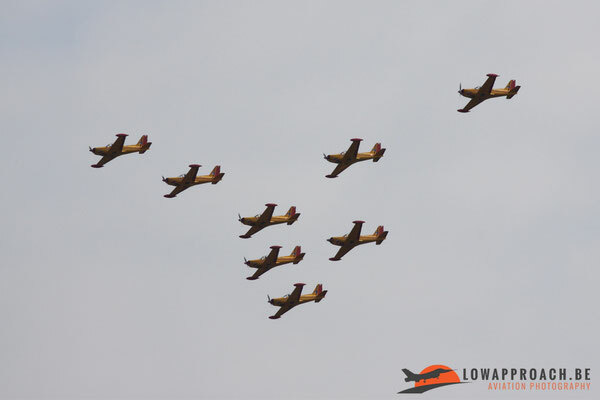 Only two years before their retirement, that is announced for the year 2018, it was a pleasure to see a formation of seven ‘smokers’ above Beauvechain again. 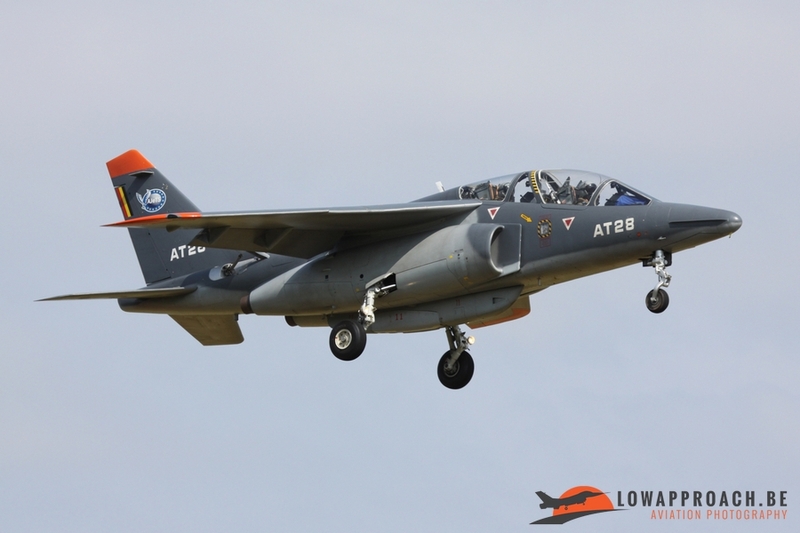 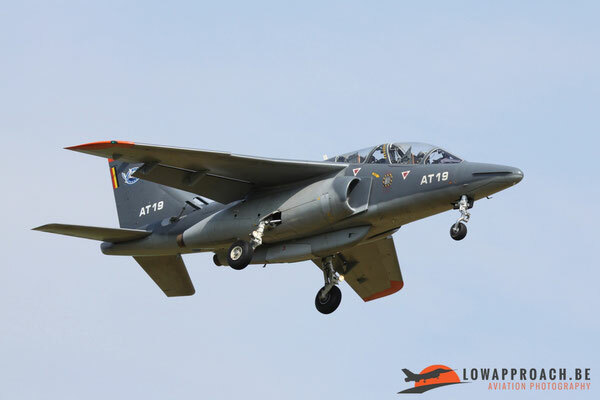 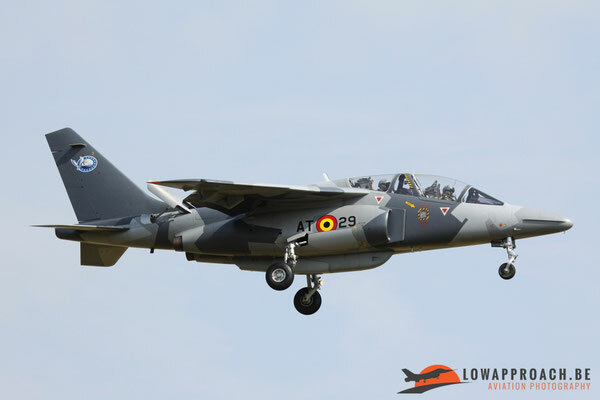 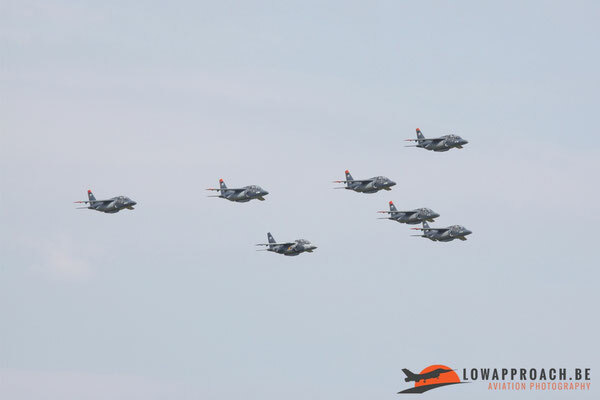 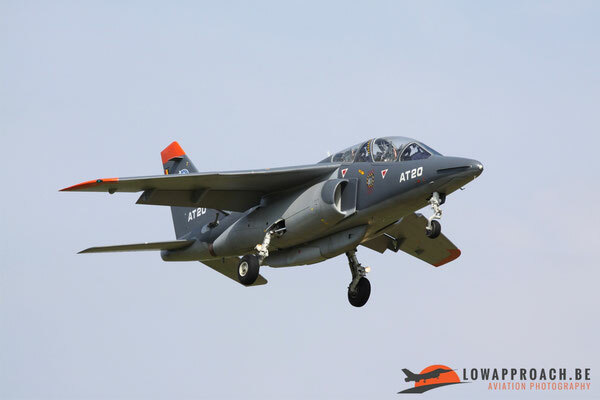 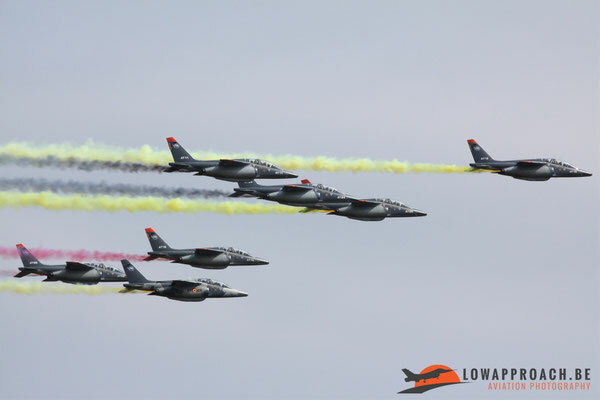 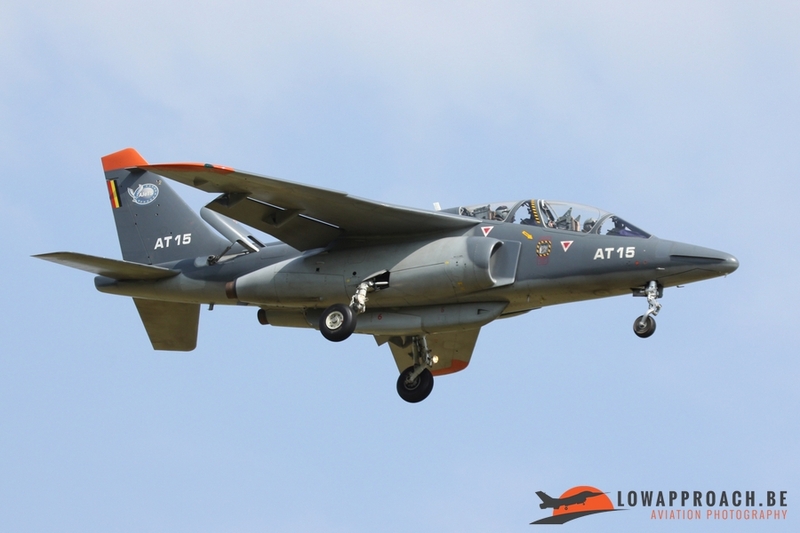 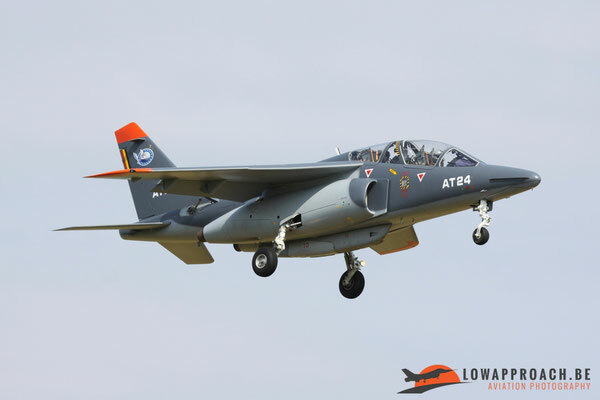 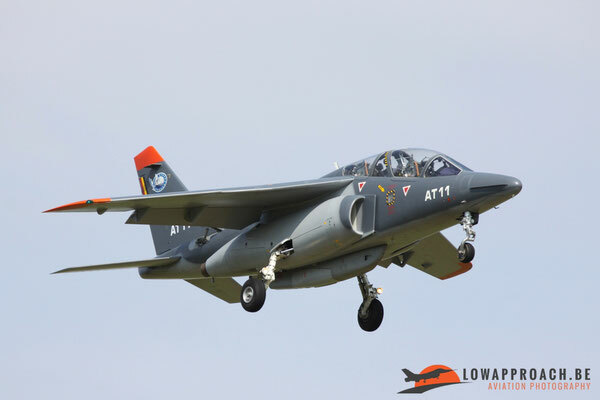 The formation included the Alpha Jet ‘AT-29’, that is still wearing part of the special color scheme from 2014, only without the titles ‘35 years Alpha Jet’ and ’10 years AJeTS’ on the tail. 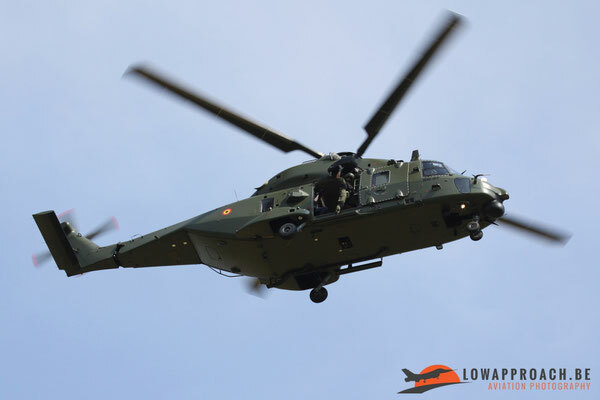 On board the helicopters some civilians got the flight from their life (baptism flight), closely followed by a big formation Marchettis that flew over the base before they landed. 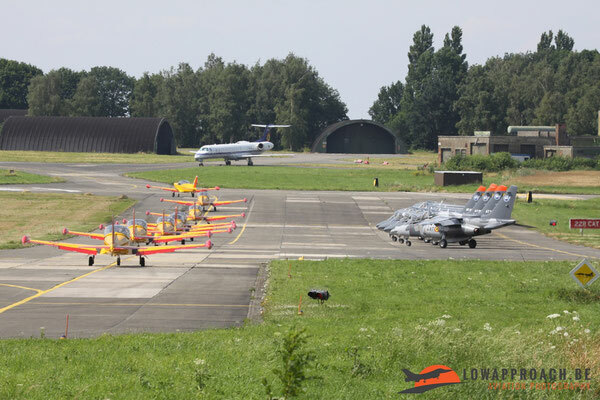 With the demo from the Red Devils the flying activity ended and the party could start, this time even without a typical ‘drache nationale’.